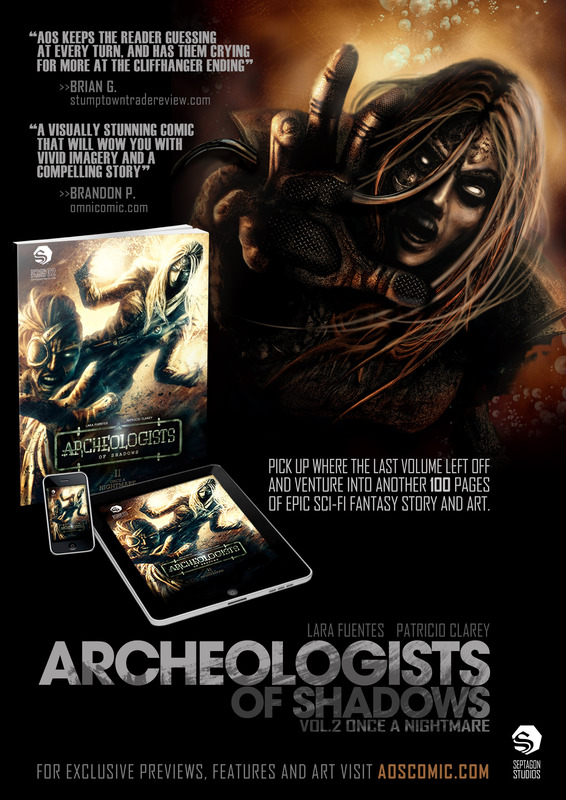 What feels like too long ago I was asked to review a title which changed the way I looked at digital graphic Novels. 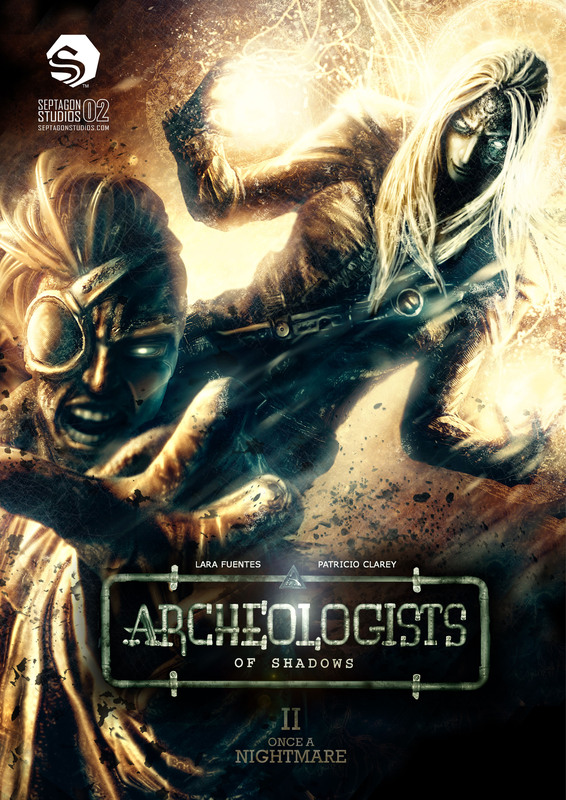 Volume one of Archeologists Of Shadows Vol 1. Volume one contained the hard work of a dedicated team of creators. Volume two continues along that road and increases the fact. I though the art contained in volume one was as pure as you can get – don’t tell my wife – but I was wrong. Volume 2 refines that, refined as in HD, 3D and any other enhancing way. If this art was an athlete you’d have a sample in a cup within seconds of the finish. I am in a unique position to be able to read many titles – for pleasure and for review – this is one of the few that I would happily do for free. The softness and hardness on the eye of this art works in perfect symphony. If the art is music for the eye, then the writing is poetry for the mind. This is an epic of all proportions that allows you to invest fully with the characters, the world and the stakes of the adventure.